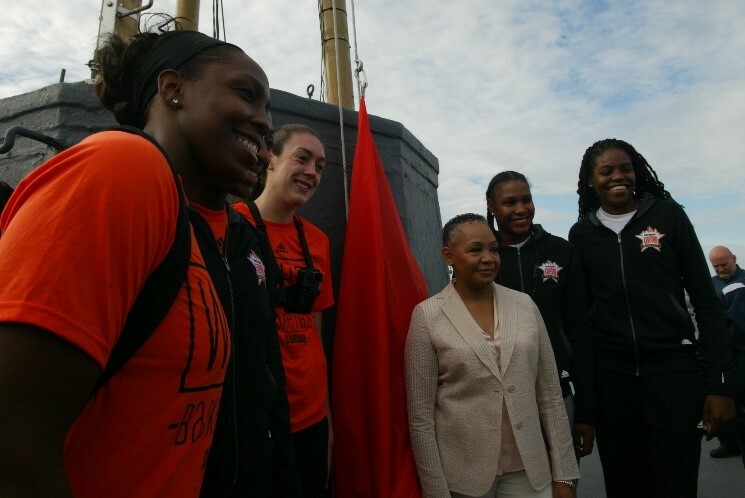 On Friday, July 21st the day before the All-Star game WNBA President Lisa Borders was joined by Seattle Storm forward/center Breanna Stewart, Los Angeles Sparks guard Chelsea Gray and forward Nneka Ogwumike, Minnesota Lynx forward Rebekkah Brunson and Connecticut Sun center Jonquel Jones as they prepared to raise the flag at the very top of the Space Needle. 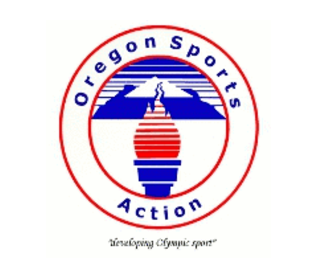 Borders spoke live on camera as she spoke of bringing the All-Star Game to Seattle and about the WNBA flag raising and participants. 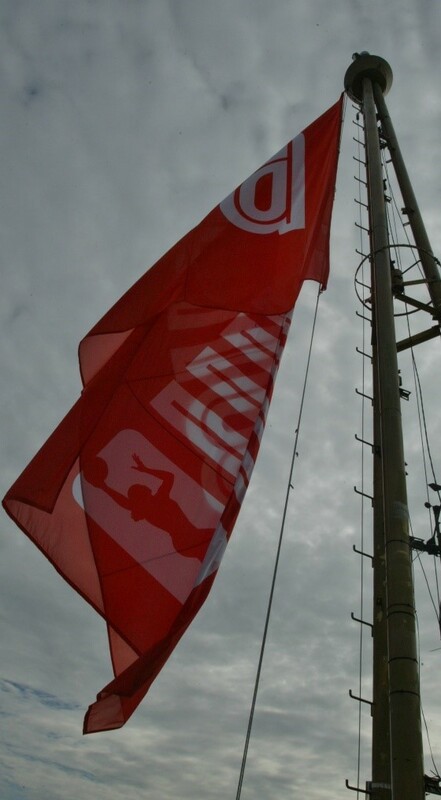 So Stewart made the final pull as the flag ascended over Seattle in honor of the All-Star Game. 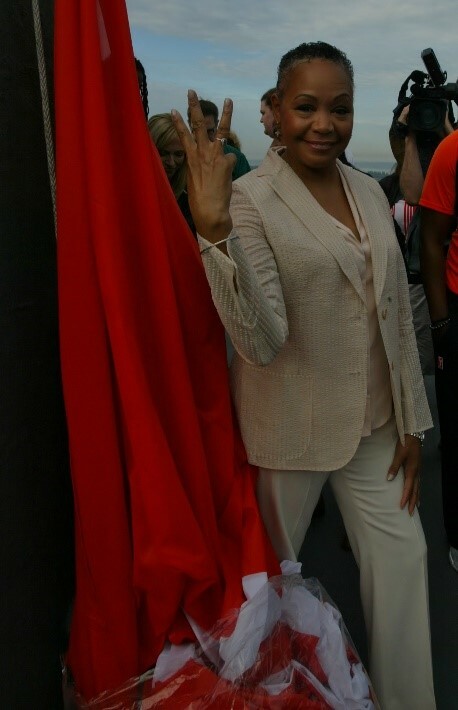 WNBA President Lisa Borders throws a “W” before helping to announce the raising of the WNBA flag at the top of the Space Needle. 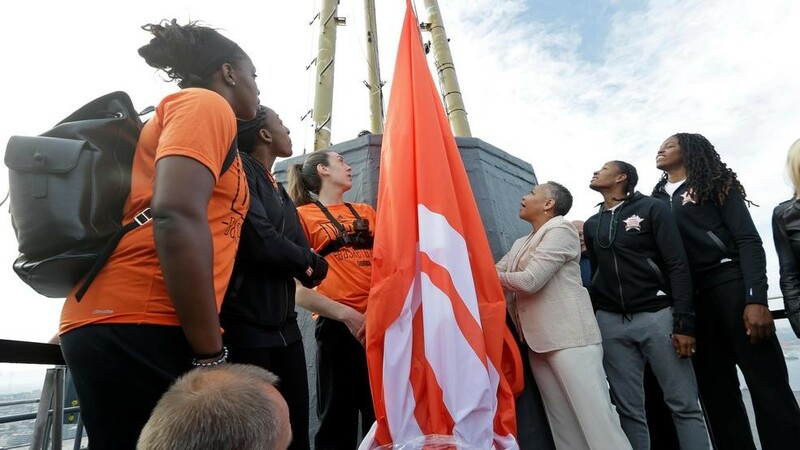 WNBA All-Stars Chelsea Gray (left) and Nneka Ogwumike (second to left) of the Los Angeles Sparks, Breanna Stewart (middle) of the Seattle Storm, Borders, Minnesota Lynx’s Rebekkah Brunson (second to right) and Connecticut Sun’s Jonquel Jones (right) pose before raising the WNBA flag. 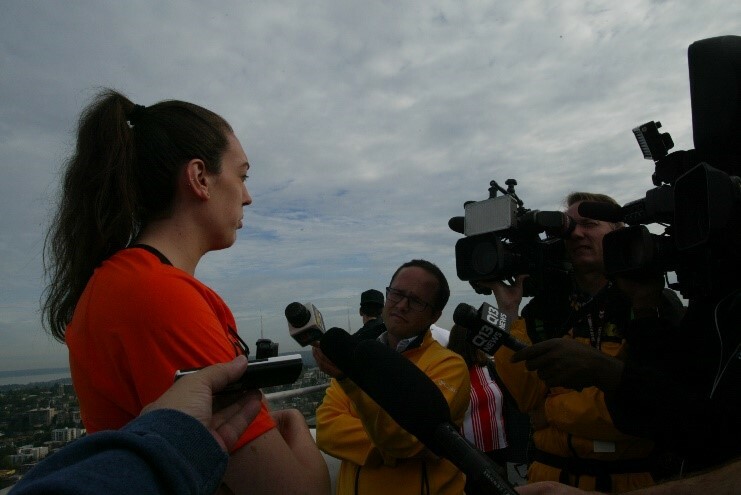 Stewart talks to the media on top of the Space Needle about the All-Star Game, participating and Seattle showing out and showing up. 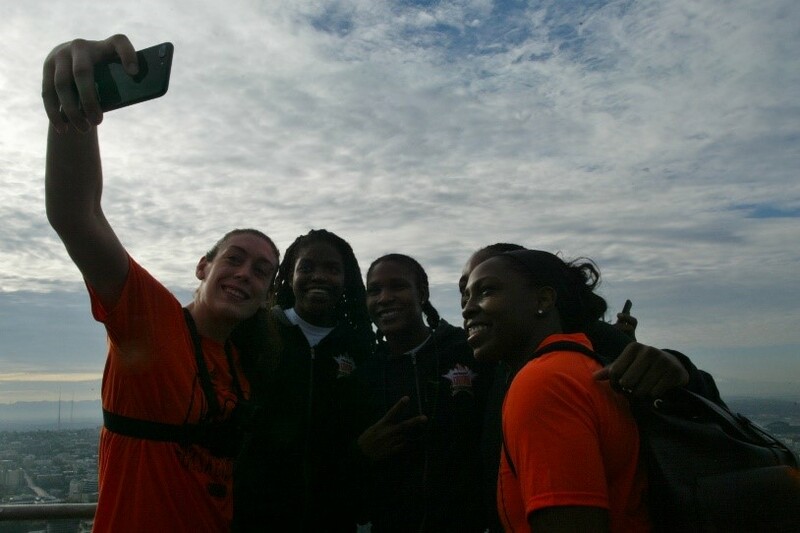 Stewart takes a selfie with her fellow WNBA All-Stars at the top of the Space Needle after raising the WNBA flag. Jones (next to Stewart), Brunson (middle), Ogwumike (hidden) and Gray (right). The WNBA Flag hoisted above the Space Needle waits for a good PNW wind to fly freely in honor of the WNBA All-Star Game at KeyArena in Seattle.